More than 100 party itemsTents, Tables, Chairs & More!
! New & Featured Items ! Our 3 in 1 sports themed combo unit. 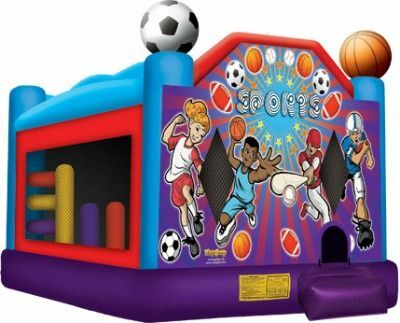 This unit features a bounce,basketball net and a slide with a great sports themed front. Dimensions are 21'L X 16'W X 15'H. A full service event rental company committed to providing QUALITY products and excellent SERVICE.